Do you like downloading free wallpapers from The Paper Wall? Here are some alternative sites with similar quality and collection of wallpapers you need to check out. You see people with very attractive desktop backgrounds and wonder where they get such? Well, those are essentially desktop wallpapers and they are available from different sites. If you want a smartphone or computer background that is flashy and worth flaunting around, you’ve got to know where to get them. 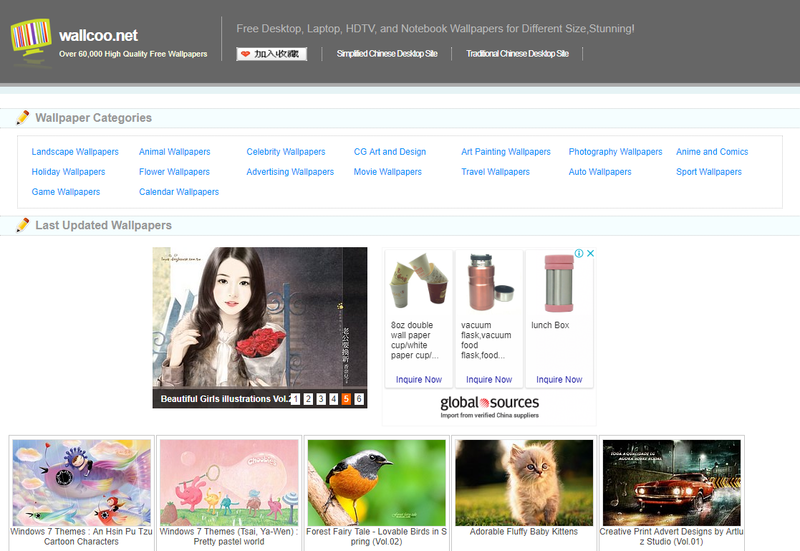 The Paper Wall is a very popular destination for downloading high-quality wallpapers online. And the reason for its high approval rating and reputation? HD hand-curated wallpaper quality and wide collection. In this review, however, we won’t delve on ThePaperWall directly. For ThePaperWall.com is down over one year for their server problem! Fortunately, we have sampled some alternative sites with similar wallpaper quality and collection. These Paper Wall alternatives also have wallpaper varieties for different screen sizes and Operating Systems. This is one big community of artists and wallpaper enthusiasts. DeviantArt Wallpaper has a really wide collection of trendy wallpapers and desktop backgrounds. Everything is here; abstract digital art, photos, illustrations, wallpapers, etc. You also find movies, video games, and even comic franchise. DeviantArt Wallpaper has the largest collection of wallpapers I know of. Their user interface is also very attractive and simple. There’s a menu icon that opens a whole world of categories to select from. In case you aren’t sure how to go about searching your favorites, you can try it from the search tab. What’s more, DeviantArt wallpaper is routinely updated. You can be sure to find some of the latest wallpaper varieties right here. Depending on your screen display, DeviantArt Wallpaper allows you to browse wallpaper categories that are compatible with your screen. Multi-display wallpapers, widescreen display, widescreen, and even mobile screen wallpapers are some of the options available. And you can filter by resolution and screen size as well. You remember Wallbase? It used to be an online sensation on matters wallpapers sometime back. Actually one of the best destinations for free HD wallpapers downloads. It went under nonetheless. So Wallhaven was established with the sole intention of bringing back the quality and variety that defined Wallbase. With an equally wide collection of wallpapers scraped from different sources, Wallhaven is slowly but surely sizing up to the standards of Wallbase. As it is currently, Wallhaven is still in alpha and as such, has a wide collection of quality wallpapers. In addition to their large database, Wallhaven also has a very large and active community. In order to access contents from this platform, you need to create a free account. Just that and you are ready to start downloading your favorite wallpapers for your desktop background. While accessing contents, you can use filters to make your work even easier. If that isn’t any simpler for you, there’s the search tab you can opt for. Some resolution options available include Retina, 4K, ultra-wide, etc. Wallhaven is updated with new and fresh wallpaper varieties by the minute. At the bottom of the webpage, you will notice the new collections that are added in real time. Their database is just replete with trending varieties. This is home to a wide collection of just about any kind of wallpaper. Choose from an extensive assortment of wallpaper categories. 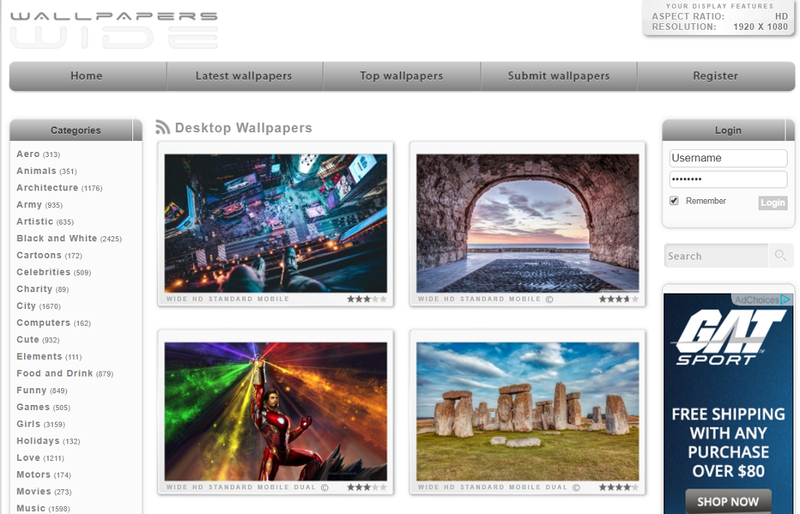 WallpapersWide has 5000+ HD wallpapers in their databases. It user interface is also very attractive and simple. Wallpapers are classified into categories, each with its own collection. This makes its way to easy to access and download your favorites with no much strain and hassle. In order to access the rich collection at WallpapersWide, you’ll only need to register and create an account for free. Some of the varieties you’ll find on this platform include the Dual monitor wallpapers, full pixel, HD, etc. There’s more than enough variety on this platform. If you want variety in your choice of wallpapers, we recommend WallpapersWide. If you are looking for trending wallpapers, varieties that capture contemporary imaginations in very creative settings, then check out this site. Desktop Nexus, like Paper Wall, has a rich collection of HD wallpapers. And its database is very current. Desktop Nexus has just about any trending wallpaper you may be looking for. What’s more, the website’s UI is very attractive and well categorized. You’ll also appreciate the various tools and feature available onsite. These site provisions make content access a breeze. Desktop Nexus collection is classified into different tags. Just check through the different categories for what might appeal to you. There’s even a search tab to make your searches more calculated and direct. Wallpapers on this site are hand curated and as such, are undoubtedly high quality. Personalize your desktop with Desktop Nexus’ new, ever fresh HD free wallpapers. In order to start enjoying their wide collection of high-resolution computer wallpapers, all you have to do is sign up for free. You want to dress up your desktop attractively, but don’t like the common wallpapers that are often themed distractingly? Then The Simple Desktops is very well up your alley. Photos, abstracts arts among other busy images can be distracting to some people. With Simple Desktops though, you can be sure to get high-grade wallpapers that are minimalistic by design. Some of these include artistic patterns, iconographic designs, text snippets, and other related wallpapers. Their collection of wallpapers is carefully hand-curated and are attractive without coming out as distracting. Simple Desktops has a very attractive and user-friendly interface. Wallpapers are arranged into categories for easy access. All the wallpapers available on this platform are free. All you need to do is create a free account and be ready to begin downloading your favorite wallpapers. If you are looking for a Paper Wall alternative specializing in less distracting wallpapers, we recommend Simple Desktops. This website stocks wallpapers for both smartphones and computers. It prides itself as a premium source of high definition wallpapers and desktop backgrounds. Unlike most Paper Wall alternatives, HD Wallpapers.net allows users to download their selections in different sizes and resolutions. Depending on your screen size, you can always choose what works best for you. Something else you will appreciate on this website is the user-friendly interface. It is colorfully designed and well-arranged into different categories. This makes it a lot easier to access your favorite wallpapers. In case content filters do not work for you, there’s the search tab for an even simplified search. Site statistics suggest that the site registers millions of monthly visitors and downloads. 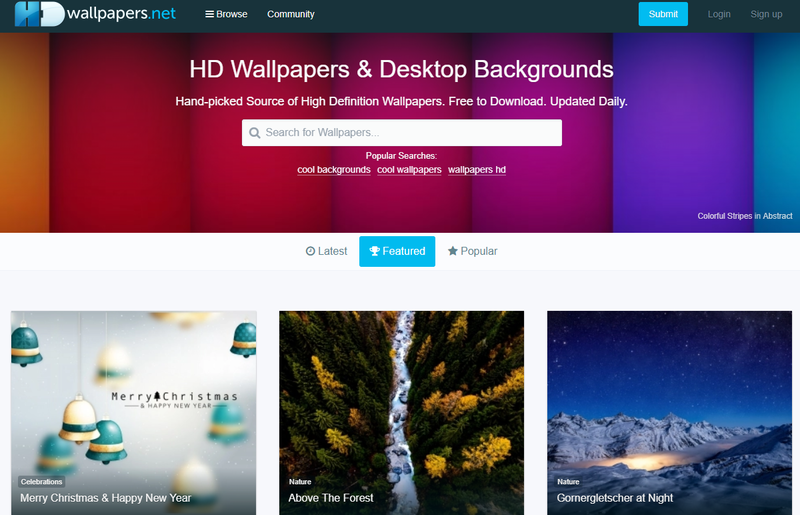 As such, there’s no doubting the trust that users have in the quality and variety on HD Wallpapers.net. Contents on this site are free. Al you have to do is sign up for free and start accessing and downloading just about any wallpaper of your dreams. If you are interested in multi-monitor wallpapers, WallpaperFusion is the best place to check out. Like Paper wall, wallpaper varieties on this platform are free of charge. And accessing all this variety is simple and easy. You only need to create an account for free and be good to go. WallpaperFusion has wallpapers for PC and small screen devices like smartphones, iPads, and tablets. Needless to say, the site’s user interface is fantastic. Very colorful and nicely arranged into categories. There’s even a search tab for easy access if the filters aren’t working for you. Download just about any kind of wallpaper from their wide collection for free. WallpaperFusion sis routinely updated. As such, the varieties available here are very current and trending. Social wallpapering was launched a couple of years ago. It was started with a rather Digg-like approach, but with a clear agenda and purpose. The idea behind its establishment was to provide users with a hand-curated collection of wallpapers. The variety at Social Wallpapering is classified into different wallpaper categories for easier selection. You also need to verify your resolution and screen size specifications. These parameters determine the wallpaper quality that you download. Even though Social Wallpapering has not the largest community, it is huge on variety and download options. And their database is also very current, thanks to the frequent updates. In order to enjoy the rich variety available at Social Wallpapering, all you need to do is sign up for free and get started. In case you don’t want to download anything, you can just save your favorites for later download. 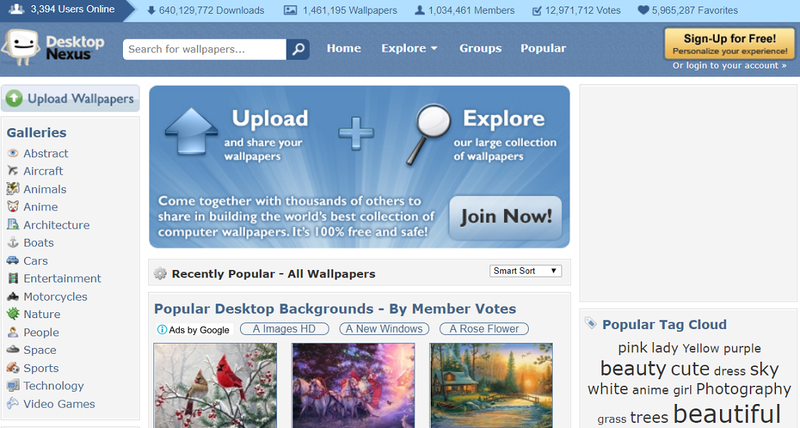 Social Wallpapering also lets you upload wallpapers via your account. This is yet another The Paper wall alternative that is very rich in variety. At Digital Blasphemy you get to enjoy downloading a wide variety of HD wallpapers for free. And their collections come in different resolutions too. So you just choose what suits you best. There’s HD, Retina, etc. What actually makes it stand out is the large collection of 3D varieties. Unlike other The Paper wall alternatives, Digital Blasphemy specializes in PC wallpapers. And their collection can be used both for personal and commercial use. This is unlike other sites which restrict their contents for personal use only. Commercial packages are also available at a small fee, however. Joining this platform is very simple. Just sign up for free and be ready to start downloading endless quality and variety. You have the option of sticking with a free plan or upgrading to a premium plan for more variety. This website has a very user-friendly interface. All contents onsite are well arranged into categories. 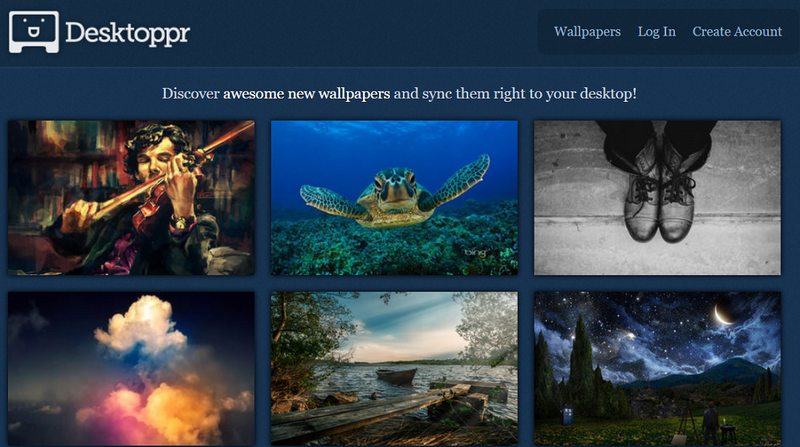 This makes it very easy for users to access and download their favorite wallpapers. Digital Blasphemy even has a search tab for an even faster content access. You may be like, Top 15 Free Image Hosting Sites. Vladstudio comes with a rich variety. Download HD wallpapers for free. Just create an account and be ready to start. Choose from a wide collection of hand-curated wallpapers compatible with just about any operating system. Vladstudio has a very attractive user-friendly interface. The UI is such that varieties are arranged into categories for easy access. If you are looking for free trending wallpapers for your computer, smartphone, tablet or iPhone, we recommend the Vladstudio. You may be like, Places to download free iphone wallpapers. This is yet another established Paper wall alternative. With many years of experience in the industry, Wallcoo.net has earned a reputation for quality and variety. They specialize in HD wallpapers with beautiful natural scenes. They also have the usual photos-turned-wallpapers. This is where to find them. Wallcoo.net has a large community of experts specializing in system themes, icon packs and many other wallpaper categories. Something amazing about Wallcoo.net is the auto-suggestion option. This detects your screen’s specs and provides relevant wallpaper options that may appeal to you. It may not have the largest collection of scraped images but, the variety at Wallcoo.net is nicely categorized. In fact, this is the only wallpaper site that provides extra details on image source like the type of camera used. If you love nature-related wallpapers, we highly recommend Wallcoo.net. This is one of the oldest wallpaper platforms. Yes, old in terms of experience, but very current in terms of wallpaper collections. Desktoppr specializes in PC wallpapers. Contents on this site are free of charge. You only need to sign up and be ready to start downloading. One noteworthy feature of this The Paper wall alternative is the synchronization feature. This makes it easy to share your downloads with friends and colleagues via Dropbox. Like ThePaperWall.com, this site has a wide collection of trending wallpapers. It has a user-friendly interface featuring a drop-down box for easy access to contents. There’s even a search tab for an even faster and simplified access to contents. 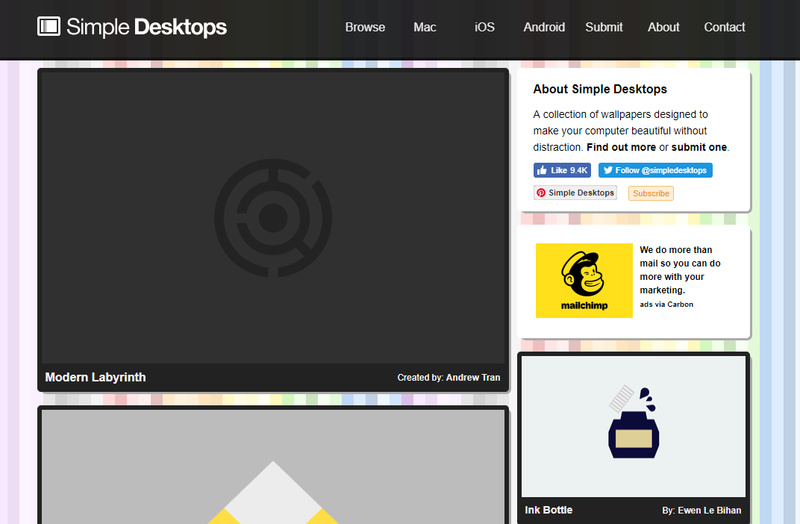 Wallpapers in Desktoppr are classified into categories, each with a tag. Just check through the various tags for your favorite category and start downloading your wallpapers for free. The Dropbox integration makes it easier and simple to share your downloads with friends and other users. This is among the largest wallpaper repositories available on the internet. WallpapersMania has a wide collection of the latest trending wallpapers. This makes it one of the best locations to check out for cool desktop background images. And its database is updated regularly. In order to access this rich variety, you only need to sign up and create your account for free. You will also appreciate its beautiful user interface. Wallpapers are classified by categories on the UI. Accessing your favorite wallpapers has never been so easy. WallpapersMania has no content access restrictions. It is free for all, no matter your geographical location. From its very name, it’s very easy to tell that Picky Wallpapers has a large database of hand-picked quality wallpapers. Most of its collections are in HD, though other resolutions are also available. Depending on your screen size, you can always choose on wallpaper quality that is compatible with your device. This the Paper Wall alternative has collections for all operating systems; iOS, android or windows. It’s free for all. Just create an account for free and get unlimited access to all your favorite wallpapers. Many ThePaperwall.com alternatives stock different categories of wallpapers. Not CelWalls though. This platform major in Full pixel and High Definition wallpapers only. And their collection is very much updated. Accessing this rich variety is pretty simple. You only need to create a free account and start downloading all your favorite wallpapers for free. Their wallpapers are ideally designed for all screen sizes; large, medium or small. Varieties are also classified by operating systems; windows, android, and iOS. Be sure to verify the same before downloading. That marks the end of our in-depth review of ThePaperwall.com alternatives. Because they vary in the quality and variety of wallpapers offered, it is important that you compare and contrast each of them in order to get quality wallpapers.